Grill / head light panel is recessed 2" for easy cut out and mounting. CA-776H (standard length "Full Bolt on"
Wide flange along both fenders and font for easy "dzus" of hood. All 67,68,69 parts are in "Black"
CA-303 Camaro wrap around "Pro front end" (one piece), no hood, hood mounting flange on 3 sides, bumper built in. With built in Chin Spoiler! 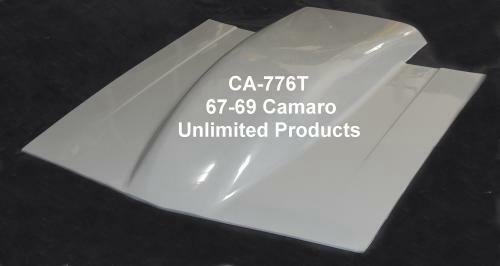 CA-102T Camaro Stock flat hood, full pin on, race weight 289.00 12. 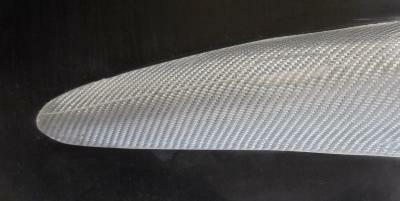 1-5/8" high (22" wide at top, 24" wide at bottom), full pin on, race weight 289.00 13. CA-141T COWL IND. 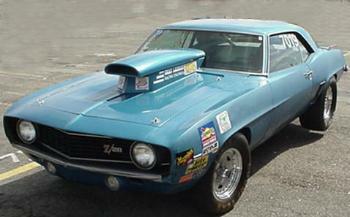 HOOD W/Z28 SCOOP & COLD AIR BOX, full pin on, race weight 299.00 14. 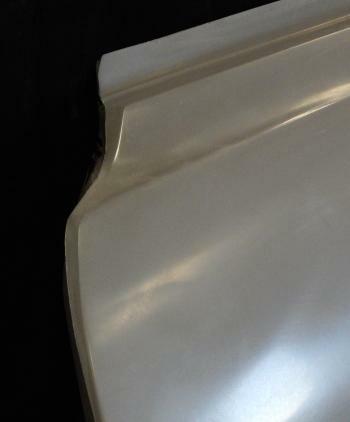 CA-139T Camaro Cowl induction hood 3-1/2" HI (scoop is 23" wide), full pin on, race weight 299.00 13. CA-789T 67-69 Camaro 9" high cowl induction 'outlaw' hood, full pin on, race weight 469.00 17. CA-175T NEW! 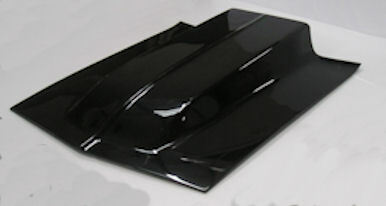 Windshield length hood with 5" cowl scoop. Scoop is widened at base NEW! 385.00 12. This replica Z-28 hood weighs less than 16 lbs. and features steel inserts firmly molded in for bolting to original hinges. Cowl induction scoop allows 1-5/8 inches of extra clearance over the stock flat hood. Low tension springs are available to replace existing factory springs. These doors can be mounted to race hinges. Rae handles can be installed. The approximate weight is 10 lbs. Installation of fiberglass doors can remove approx. 65 pounds of weight off the car. Lexan windows are recommended. 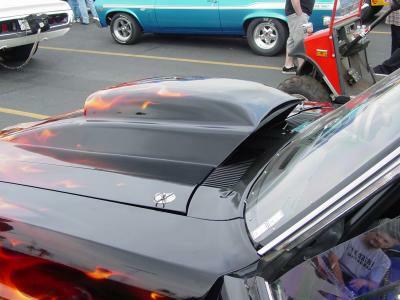 This 1967 Camaro hood features a full inner structure for rigidity. It has mounting bolts for bolting to hinges. This hood can be used for mounting and bonding on the scoop of your choice. The inner structure bracing is positioned so it will support the front edge of a scoop. Fits 1967 Camaro, 1968 Camaro and 1969 Camaro. Rear spoiler is approx. 4 Inches high. Trunk lid has molded edge on 4 sides to insure perfect fit. Spoiler and trunk are constructed as one piece. Racing style pins are required for mounting. 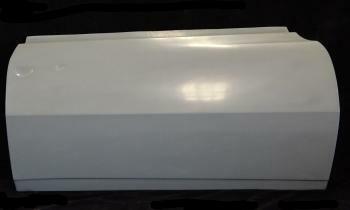 Light weight and strength are built into this fully hand laid fiberglass trunk lid. Minimal inner bracing is laminated to the underside to allow some rigidity yet keeps the weight low. Racing style pins are recommended for mounting this trunk lid. Same as our CA115 but this trunk lid has a full inner structure for mounting to original hinges. The underside is completely braced and has steel inserts molded in for bolting to hinges. Molded edges on 4 sides allow for perfect fit. The base of the snorkel scoop is made as part of the hood. The snorkel top is supplied as a separate part and can be bolted or riveted on. The snorkel top has a built in lower flange to allow bolting it to the base. This allows for internal carburetor sealing when using an air pan kit. Snorkel top can be bolted or pop riveted to the base. It features an internal flange to facilitate carb sealing. Inner structure has small steel inserts firmly molded in for mounting to original hinges or this hood can be mounted with 4 racing style hood pins. These fenders have the front lower panel built in and they have all mounting tabs for bolting to original locations. Extra bracing is laminated into rear section to give support along door line. Flanges at lower front and top allow direct mounting to original front gravel pan and upper header panels. 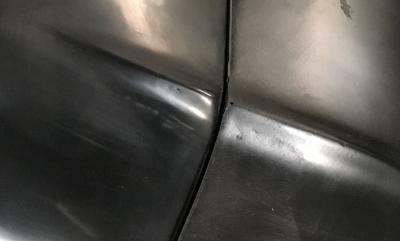 These fenders are strong enough to be used without inner fender wells, but use of inner fender wells prevent trapped in the engine compartment. Trapped air slows the car. These will also fit coupe and convertible. These inner fenders are replicas of the stock inner fenders. They can be bolted in place of the originals. They are made of high strength fiberglass and will never rust or deteriorate from the weather. Replica of 69 Camaro front spoiler. Reduces drag by forcing air around, instead of under the car. 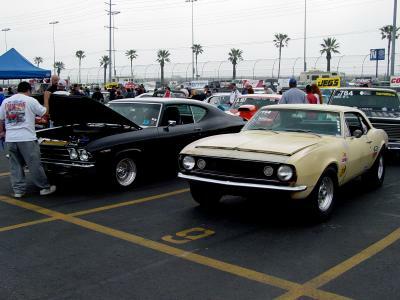 It will bolt directly to the lower gravel pan on '67, '68 and '69 Camaros or 69 Firebirds. This hood features a down sized version of the original L88 scoop. Scoop dimensions are 2 3/4 high 14 wide at the top and 22 wide at the bottom. It has a full inner structure for strength. Molded in steel inserts allow mounting to original hinges. Quarter panels can be riveted to edges of cut out rear section and then body filler is used to finish. These can be used to lighten the car or to replace rusted out or damaged panels. Installation instructions available upon request. 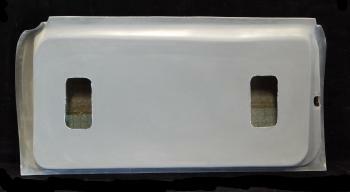 Upper valance panel for 67-68 Camaro. The ends of this panel have flanges for bolting directly to original steel fenders or to a fiberglass replica. Bottom front has full-length flange for attaching original grill. 67-68 Camaro front kit. These front end kits allow for the original stock grill and headlights (lights are attached to original light bracket) to be bolted in. Flanges are provided on the upper and lower panel for mounting the grill. Headlights are mounted normally to the standard factory brackets. The outer edge of the original light brackets are then attached to the fenders. The stock fender wells bolt to the original locations on the fenders. CA-705A: Same kit but has standard 1-5/8" high cowl hood with cold air box built in. This panel has flanges on each end for easy mounting to original steel fenders or to fiberglass fenders. Top edge has flange for mounting original grill. Center is blanked off to allow air flow around and under the car. These blanked off areas are clearly marked to allow cutting open to original. This front nose replaces the upper and lower panels. It features a built in blanked off center panel. It will bolt directly into fiberglass fenders. Mounting flanges are provided for easy installation. Cowl panel. This is the panel that goes between the windshield and the hood. 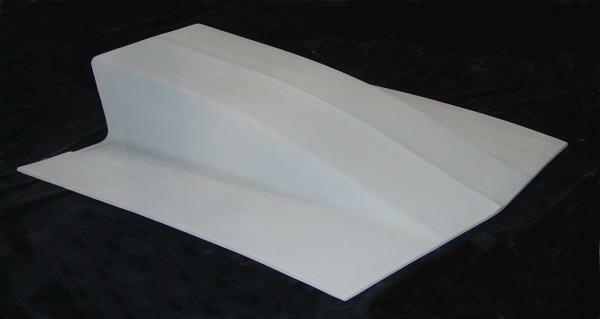 These fiberglass bumpers can be painted black or the color of the car. Extremely light weight but durable. Designed for the pro-street look. 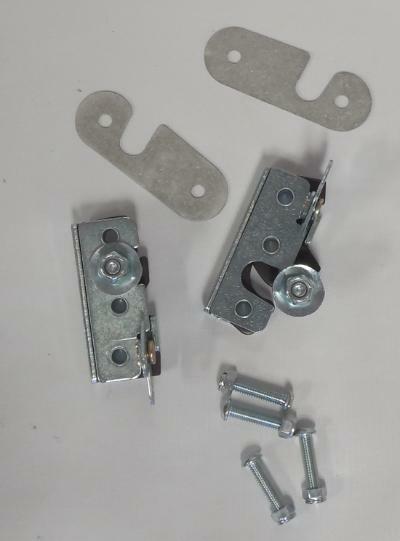 They can be mounted to original brackets or to light weight aluminum fabricated brackets. Approximate weight 2 pounds. Blanked off grill panel has flange around all edges for reinforcement and for easy mounting to fiberglass fenders. This panel will block off air from entering engine compartment. This will reduce air drag at high speeds by allowing air to pass around fenders and hood. Blank off panels are not for street use. 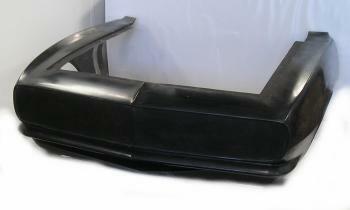 "Wrap-Tight" front bumper for 1967-1968 Camaro. Close up of "Chrome-Carbon" style. Replica Z28 cowl induction hood with full inner bracing and steel inserts for mounting to hinges. Cold air box is built in for using 69 Camaro-style air filter assembly. This will allow air to be drawn from cowl induction scoop and directly into the carburetor. 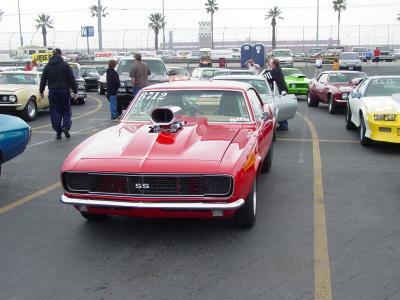 "Cold air boxes are used in conjunction with a '69 Camaro air filter assembly with a rubber circular seal along the top that seals against the cold air box, otherwise the cold air box is almost useless, but the cold air box can be cut to accommodate standard air filter assemblies (but it won't be functional)." Well it's finally here, the new style out-law hood for your 67-69 Camaro. This hood features a full 4-3/4" of under the hood clearance. Don't be fooled by other brands that won't fit your car. This is a true Z-28 cowl induction hood, not a stock hood with a scoop molded on. Rolled edges on all sides insure a precise fit. This hood has steel inserts for mounting to hinges. Order part number CA-795 for front latching version. 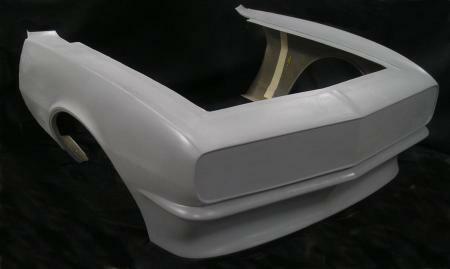 Complete hood with scoop one piece: order part number CA-992. Designed to fit any fiberglass cowl induction hood. Installation is best done by glassing in with fiberglass mat and resin. 12 1/2 inch circular hole is designed to accommodate 69-style air filter assembly, or can be cut larger for other applications. Side flanges are angled to match inside angle of scoop. 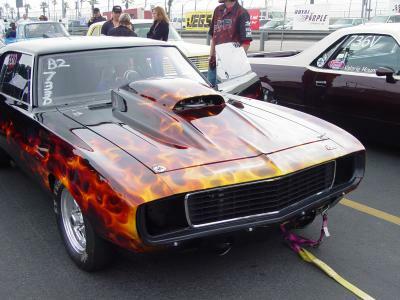 Replica of 67-69 SS Camaro hood. Standard metal louvers can be installed (not included). Full inner structure for rigidity and strength. Small metal inserts firmly molded in for attaching to original hinges. Molded edge on all 4 sides to insure a perfect fit. Order part number CA-595 for front latching version. 67-69 Camaro hood with cowl panel built in. This hood does not have a cowl induction scoop. You can remove and discard your original panel (cowl panel) between the hood and the windshield. Full inner structure for strength. 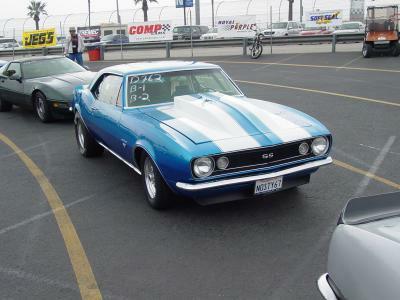 (1967-1968 Camaro Only) Camaro kit consists of two fenders (left and right) and a front nose section. The front section will bolt into the fenders for a completed one-piece wraparound front end. The grill and lower panel are blanked off to stop air from flowing into engine compartment. The ends of the nose have reverse flanges for secure mounting to the fenders. When bolted together, this front end can be taken on and off the car as one piece. 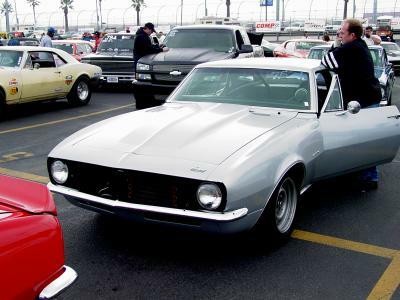 (1967-1968 Camaro Only) Camaro 1 piece "Wrap-Around" consists of "One" complete piece, fenders and front nose section, less hood. The grill and lower panel are blanked off to stop air from flowing into engine compartment. Top edge of fenders have flange for easy mounting of hood with dzus fasteners. 3 sides. Front bumper is "built in"
CA302 in black, showing "Flange" for mounting hood. Built-in front bumper. Standard color is gray. Hood with 3-1/2 inch high cowl induction scoop. 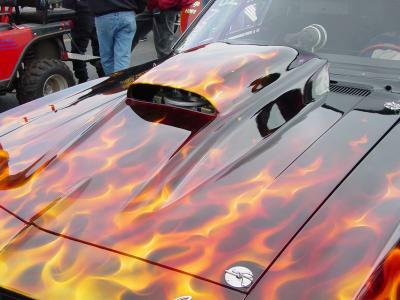 This hood is a replica of the 69 Camaro cowl induction hood, except it has an under the hood clearance of twice as high as the original Z-28 style. This hood looks like the original Z-28 style hood. CA303 Showing "Flange" for mounting hood. Built-in front bumper and built in front "Chin Spoiler". Standard color is dark gray. Grill / head light panel is recessed 2" , this makes for easy cut out and leaves flange for original grill and head lights. (67-68 Camaro Only) Another first from Unlimited Products. 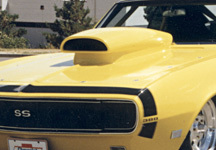 The built-in cowl induction hood is a replica of the 69 Camaro cowl induction. Underside of the scoop area is open for carb clearance. A full inner structure insures rigidity and strength. Four mounting bolts are molded in for easy attachment to tilt kit. Front grill area is blanked off. Original chrome bumper can be mounted over molded in bumper. Made from hand heavy laid fiberglass, black gel coat finish. Front bumper brackets for 67-68 Camaro. 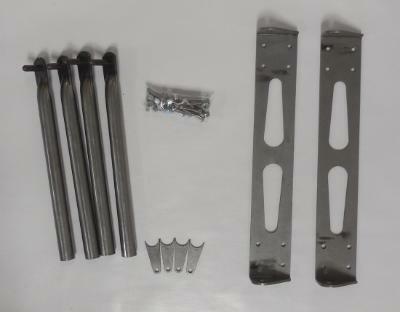 These brackets can be used with fiberglass bumper. They are made triple thick for maximum strength. They will bolt to original locations.